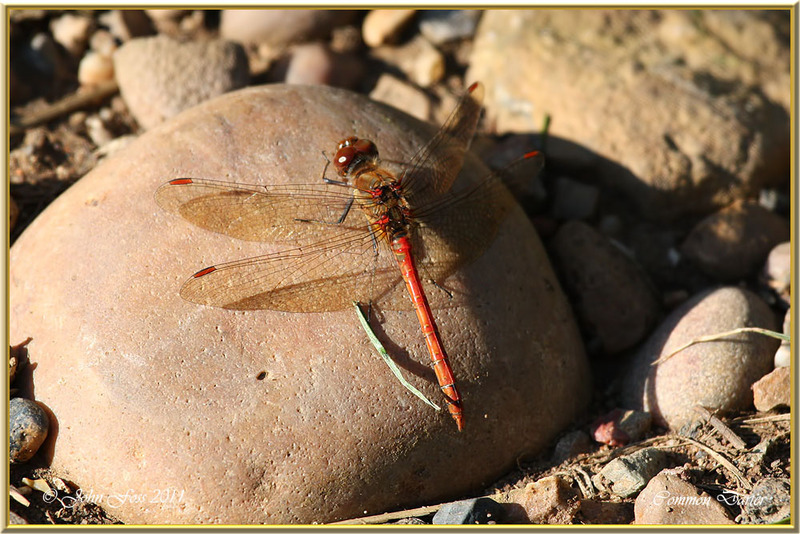 Common Darter - One of the commonest European dragonflies. Prefers to settle in sunny spots like this waiting for prey to pass overhead then gives chase. 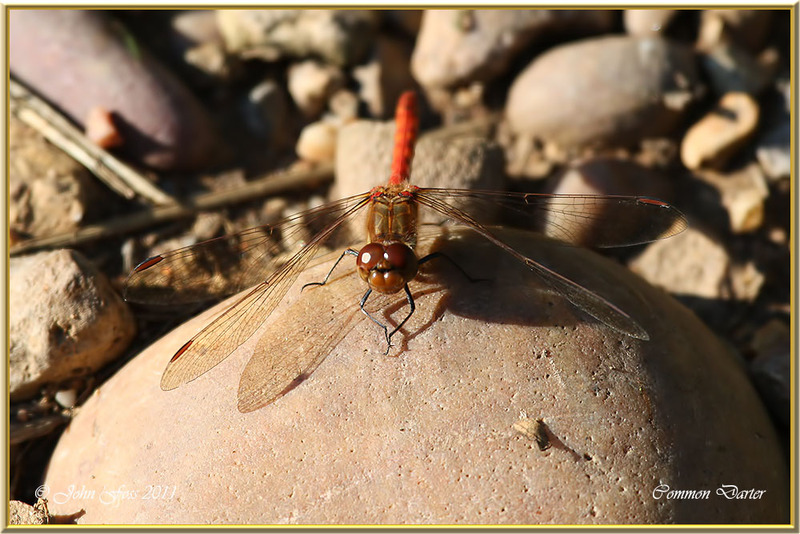 Very territorial and not afraid to see off larger dragonflies that come close. 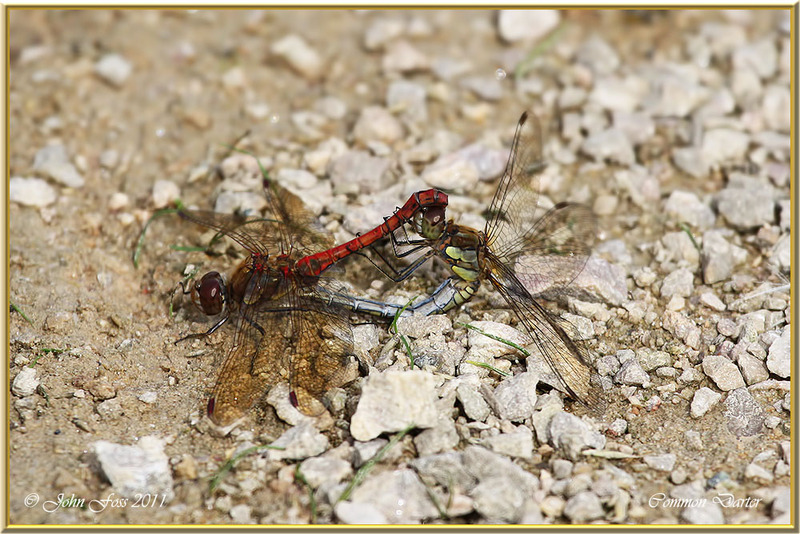 These photographs were taken at Willington Nature Reserve Derbyshire.